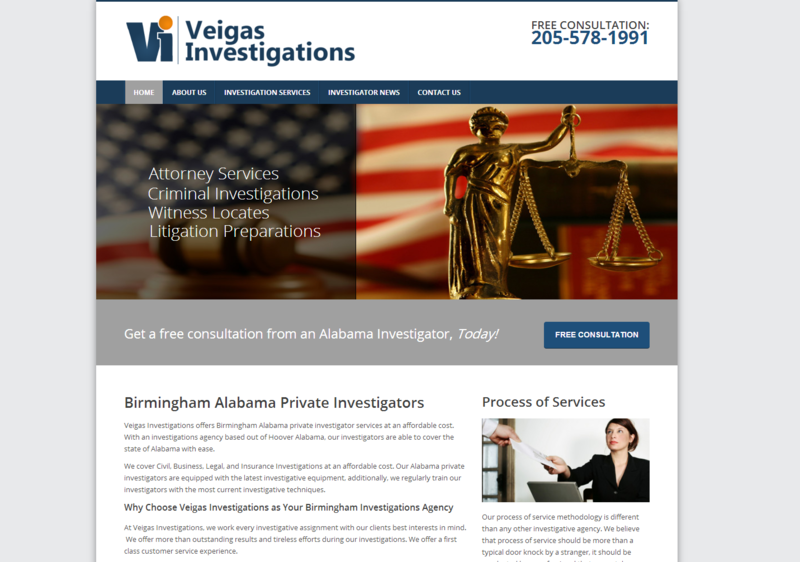 Veigas Investigations is owned and Operated by Keith Veigas III, an Alabama Private investigator based out of Birmingham Alabama. 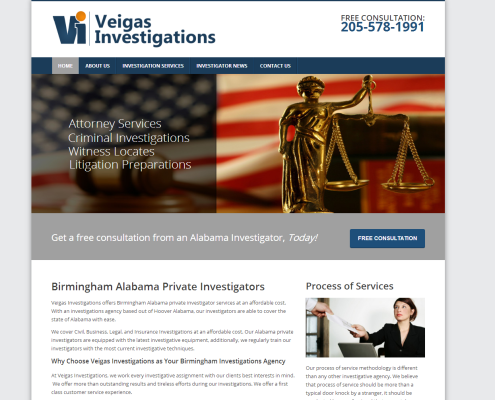 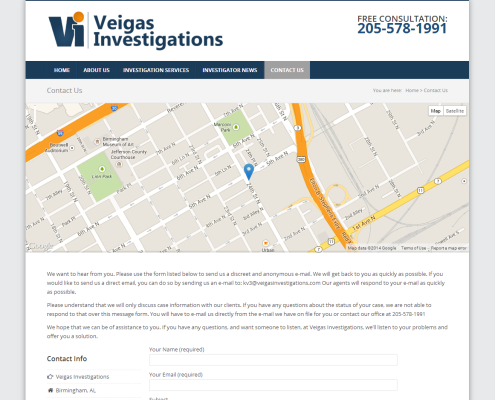 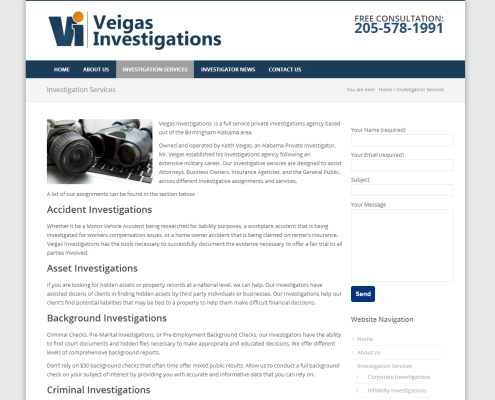 Veigas Investigations has been considered the premier private investigative agency of choice in the state of Alabama for Attorneys, Business Owners, Insurance Agencies, and the General Public. 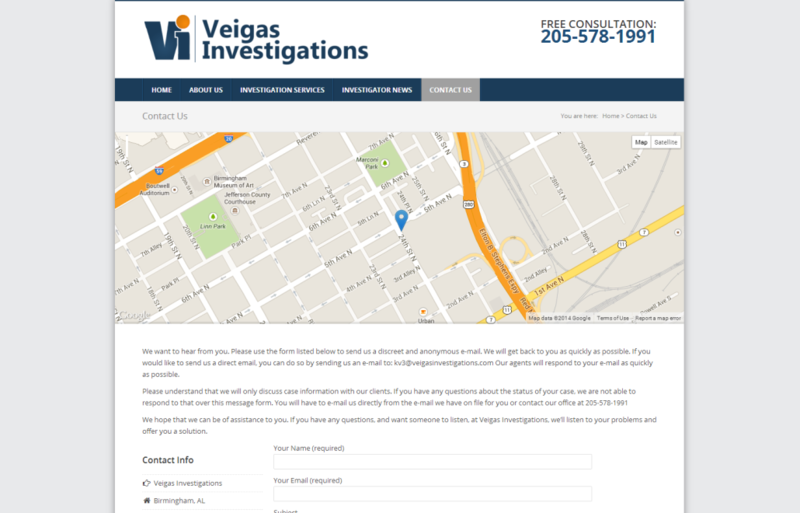 This website needed to be developed to display the different types of services offered to attorneys and legal support teams. 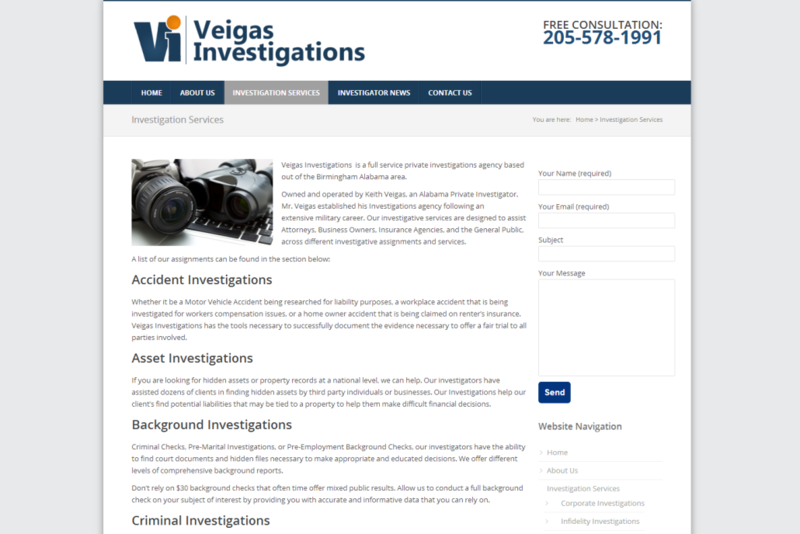 A logo needed to be designed with the colors of A.U. 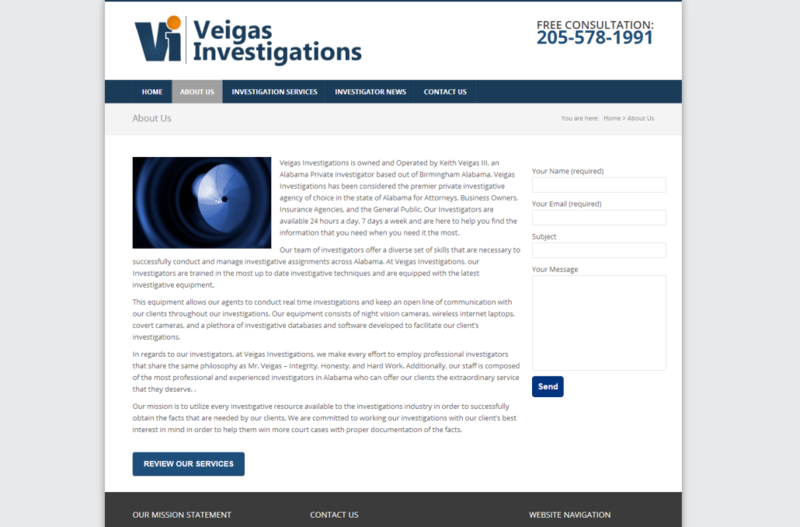 and without utilizing magnifying glasses. 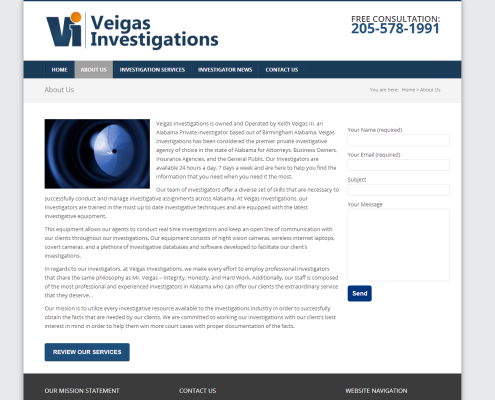 The website was to be hosted on a platform with open access to its files for easy modification.